The Rider-Waite deck is the most commonly used Tarot decks and is probably the easiest decks to learn Tarot with. 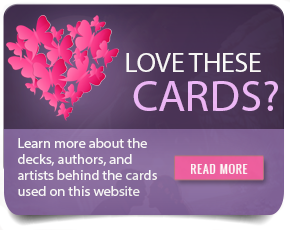 Its particularly popular for love predictions and the very clear and meaningful pictures on every card makes it much easier to interpret them. 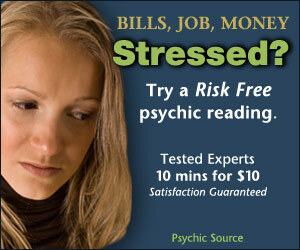 Tarot readings is all about gaining new insight and obtaining guidance in a particular situation. Here are a few important cards that hold great meaning. In this card, the illustration is that of a person walking away from 8 cups – not looking back. The meaning of this card is that its time to move on and to move forward from a situation without looking back at what could have been or what should have bee. With this card, the illustration of a double edge sword compels you to consider both sides of a situation. When you are in a horrible situation in life, can you see the good in that? Can you see the positive? We all have certain connotations with pictures of the Devil and for the most part is completely wrong and distorted. Many people freak out when they see the card of the Devil, but the meaning is much deeper than mere perceptions. If you look closer you will see a couple in that are bound and the meaning of it is that there might be something in your past that is keeping you bound. What is it that keeps you from moving forward in life? What is it that keeps you hostage in life? Are you looking for free tarot readings? See my blog to learn more about reading tarot cards.